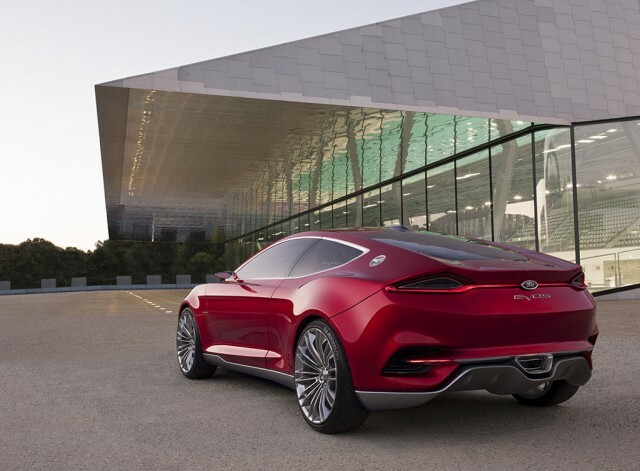 As promised, Ford has revealed the brand new concept car at the 2011 Frankfurt Auto Show : the striking new Evos plug-in hybrid sports coupe.Not only does the Evos point at a possible future front-drive Ford coupe, it also showcases the automaker’s first truly global design and a new vision for customer-focused and intuitive technologies. Overall measurements come in at 177 inches in length, 77 inches in width and a height of 53 inches. 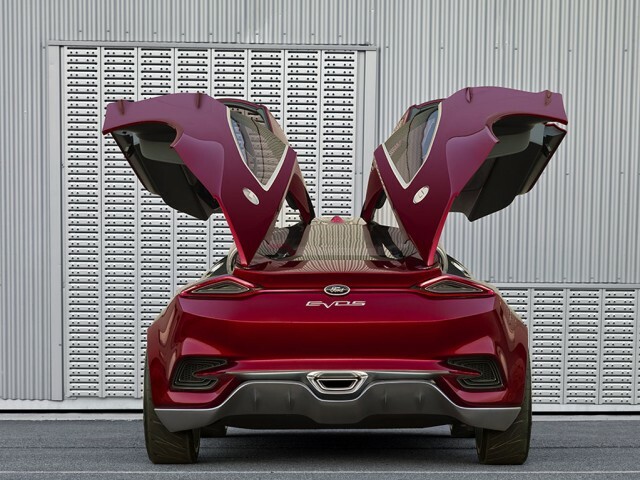 The wheelbase stands at 108 inches.Connectivity is also a strong theme behind the design of the Evos. 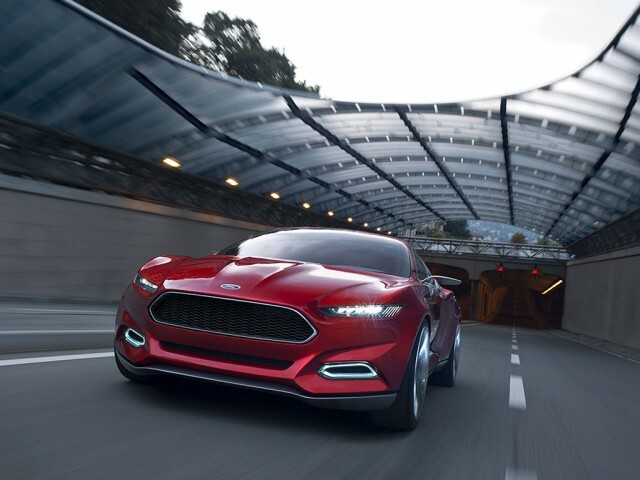 For example, the car can know its driver's habits, and will automatically adapt handling, steering and engine controls to suit his or her personal taste. 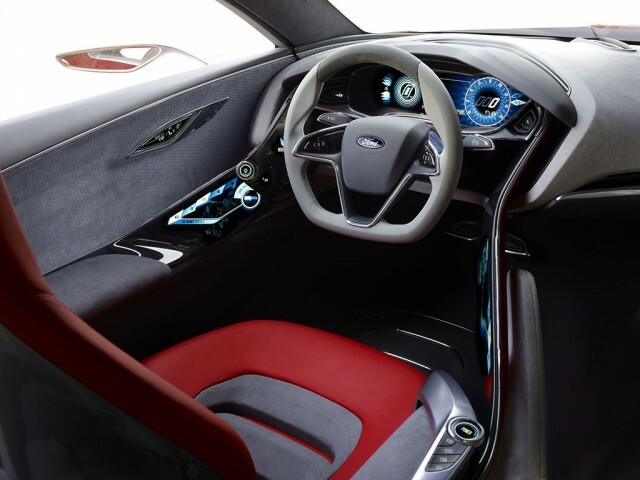 Beyond this, the car’s interface and telematics systems will also be able to recognize the driver’s work schedule and local traffic or weather conditions. It could automatically play the same music or news program that was just streaming at the driver’s home, or heat or cool the interior to an ideal temperature before the driver gets in by predicting departure time based on his or her calendar. Finally, wirelessly communicating with devices in the home, the Evos could close the garage door and switch off the lights automatically as it pulls away. 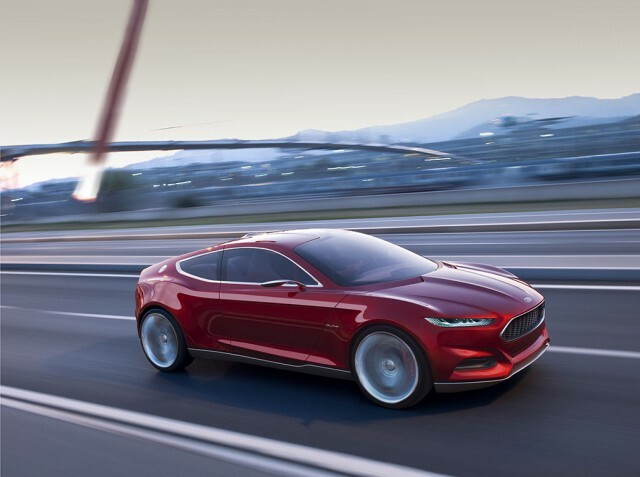 Believe it or not, the connectivity of the vehicle can also help optimize the drivetrain, which in this case is a plug-in hybrid system matching a gasoline engine with an electric motor running on lithium-ion batteries.In this way the overall driving range could be more than 500 miles on a single tank of gas and a full charge of the Evos’ batteries. 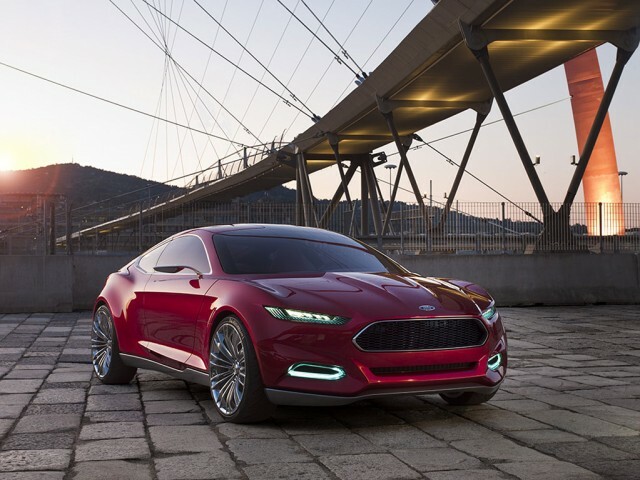 Sadly, Ford is keen to stress that you’ll never see the Evos on the road, though many of its distinctive design features will feature on next-generation Blue Oval models including the Mondeo/Fusion/MKZ replacements and, possibly, the long-rumored three-door Focus. Great post! !Amazing car..full of features..really thanks for sharing..
Great collection of cars,thanks for the article. Great collection of photos here. Thanks a lot. 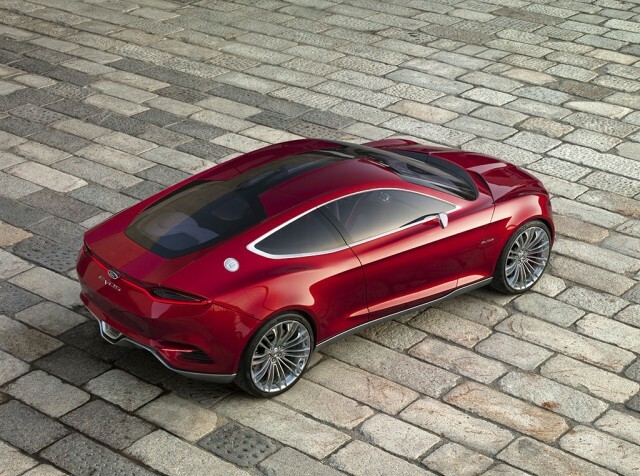 I am crazy about ford cars. They are so creative and brilliant but I can't buy because its too expensive for my pocket.